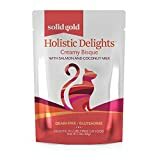 This particular holistic cat food literally calls itself that, so you have to look at the label to find out whether this is truly the case – when you delve deeper, you find that the ingredients truly are holistic, with added vitamins and minerals for health and wellbeing. Choose between three different flavors, including salmon, turkey, and seafood, and four different sized bags for cost effectiveness. 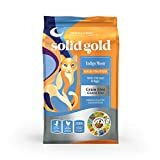 This food is suitable for both full grown cats and kittens, and has high levels of antioxidants, such as vitamin E and C – this means a boosted immune system on top of general health and wellbeing. 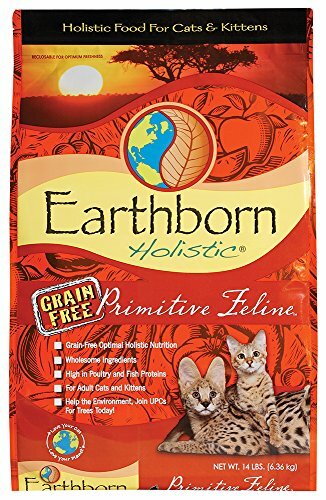 The content is real animal and fish protein, with nothing false added in, and no grain or gluten, making it ideal for cats with a gluten allergy or intolerance.